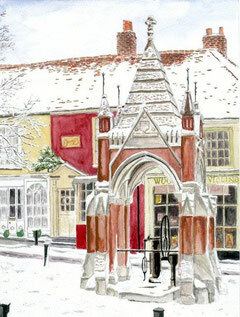 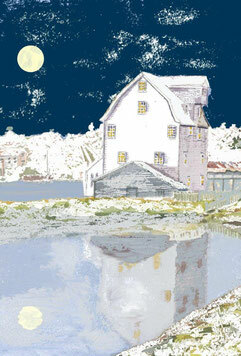 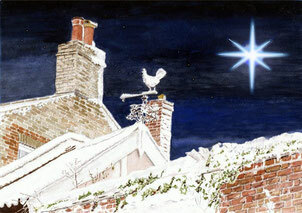 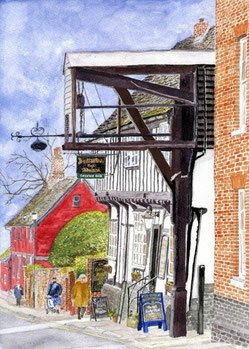 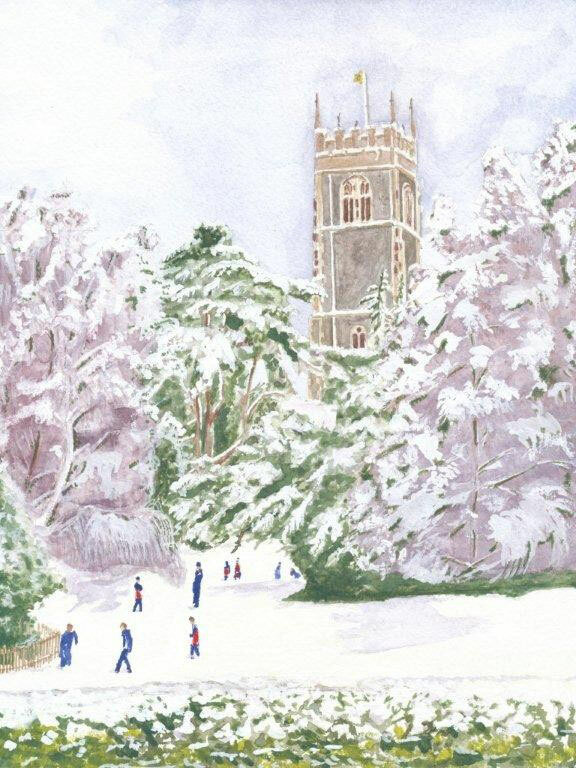 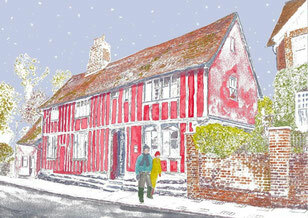 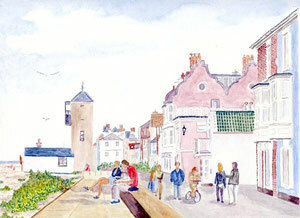 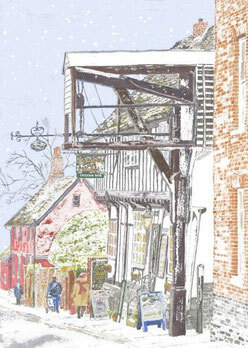 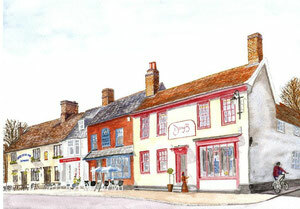 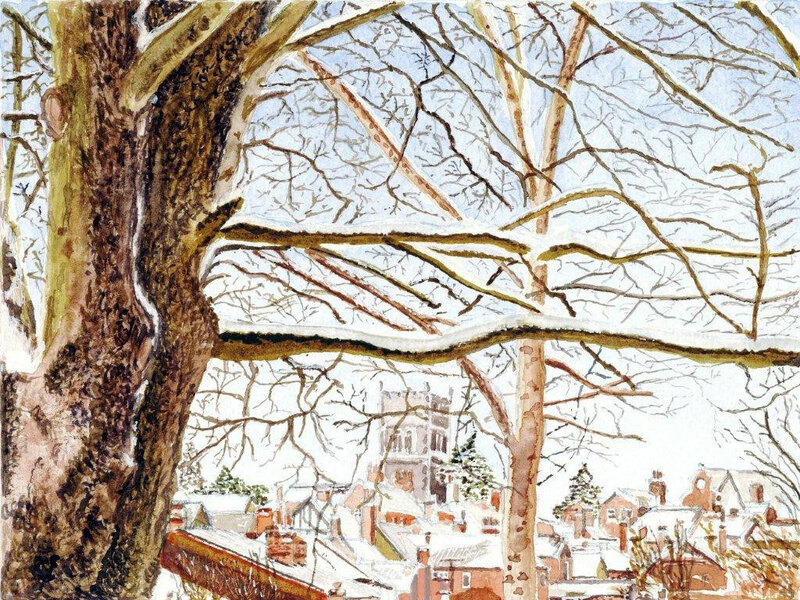 Back to Woodbridge - in Winter / Christmas time... - Website of ambridgeart! 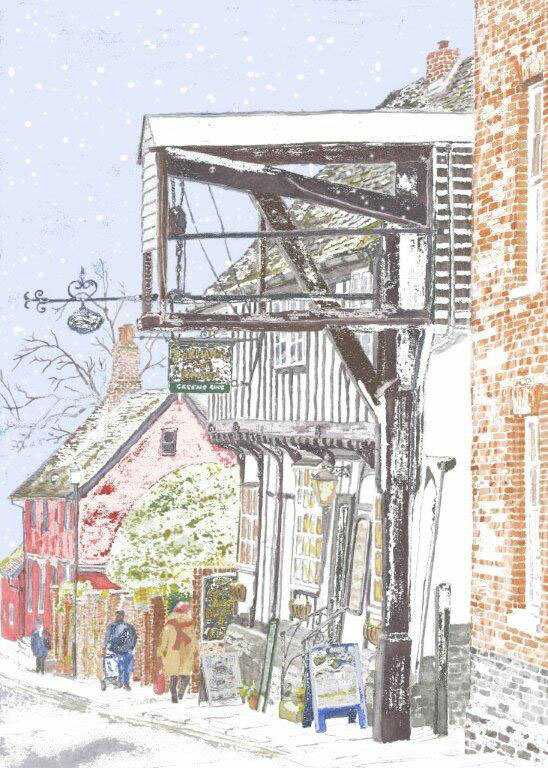 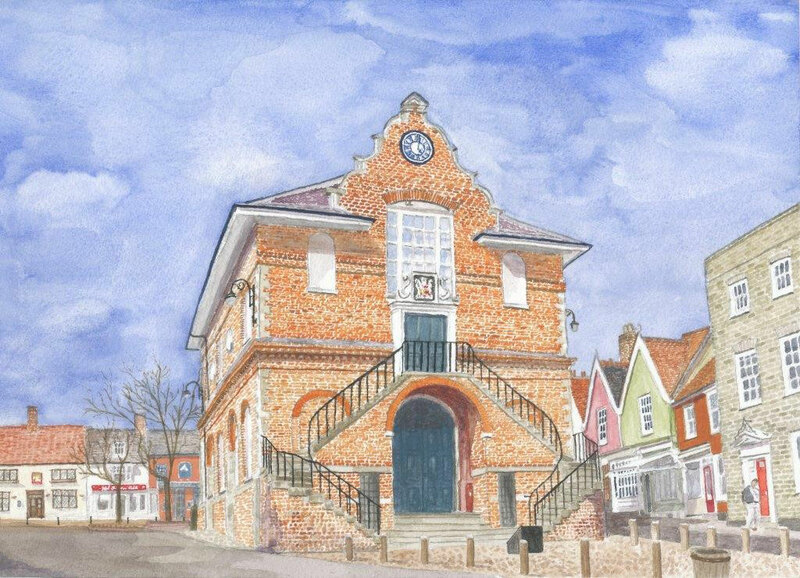 Having enjoyed drawing as a youngster, Tom returned to art as a retirement hobby when he joined Woodbridge Art Club a few years ago. 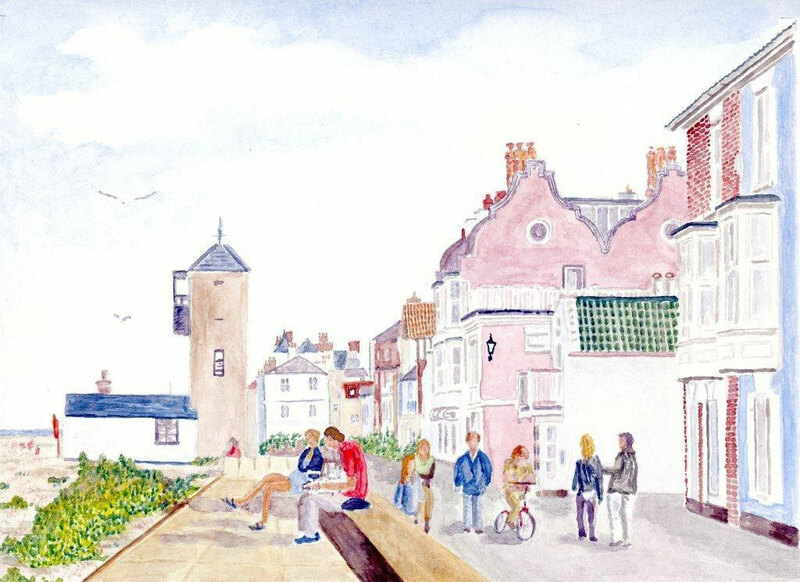 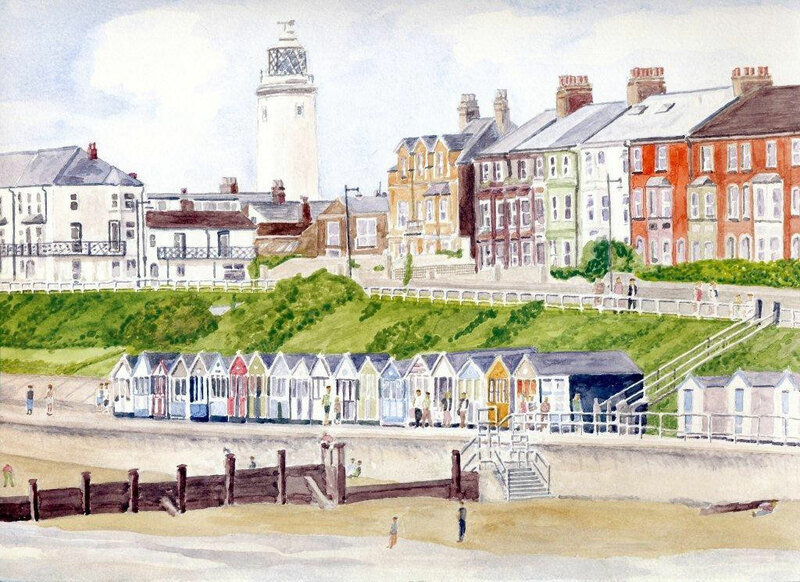 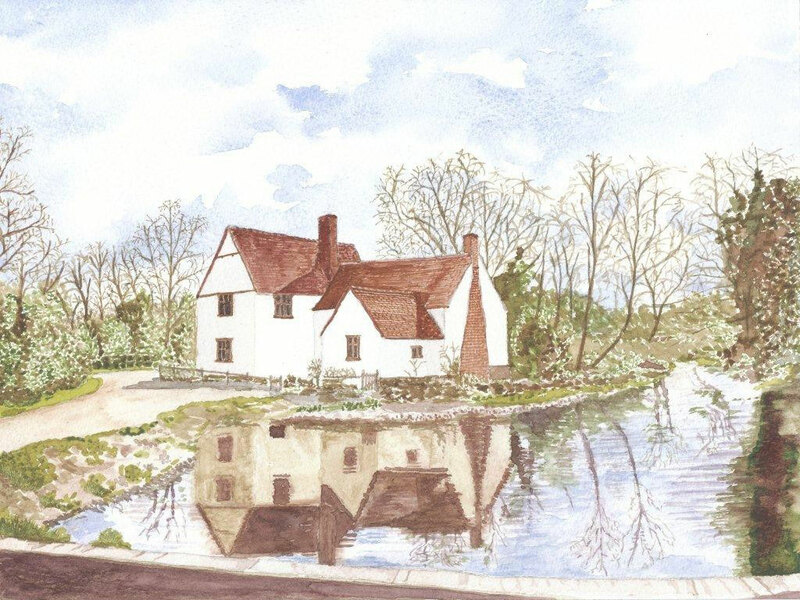 After concentrating for a while on pencil portraits his current preference is for the watercolour medium, mainly applied to local settings photographed by himself or his wife Carmel. 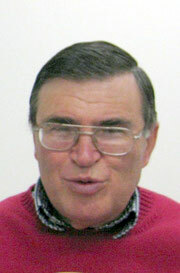 His former occupation as an engineer and scientist has probably influenced his style which increasingly has tended to incorporate quite fine detail and has earned him a reputation at the Club as ‘the bricklayer’. 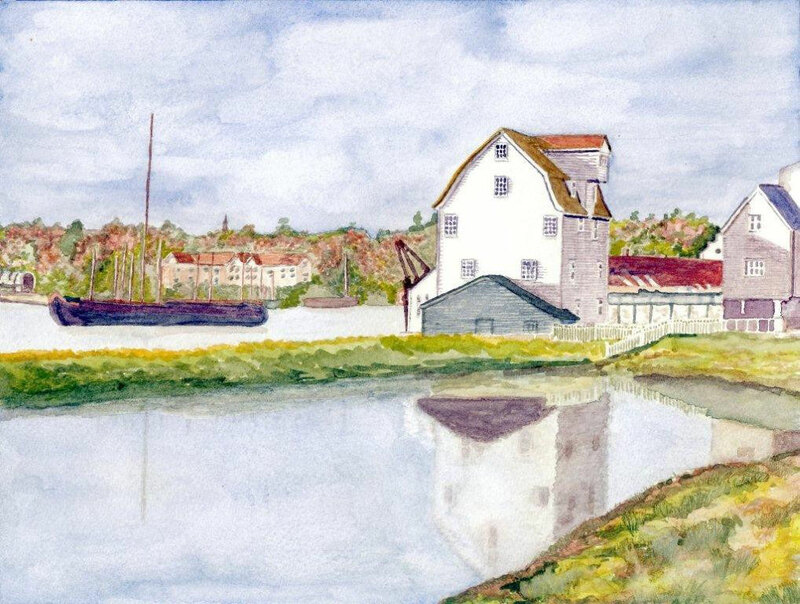 Art is just one of several activities in busy retirement, including gardening, writing, blogging and publishing WWII family diaries and striving to keep healthy through exercise in spite of MS. He is happy to allow himself several weeks to complete each new painting project during leisurely sociable sessions at the Art Club. 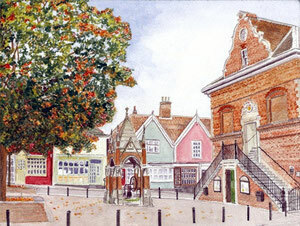 The images on this website cannot reproduce the true colour rendition of the watercolour prints, where generally the tones will appear more subtle than on-screen. 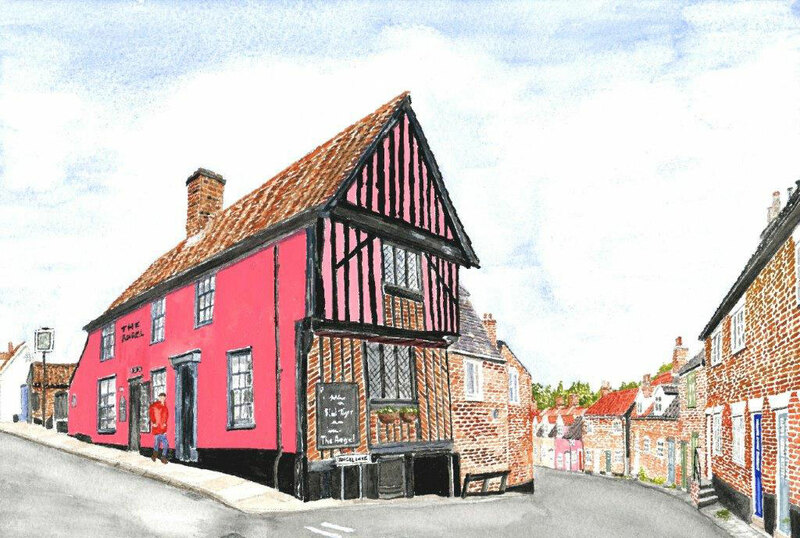 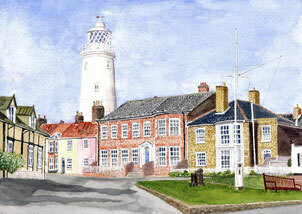 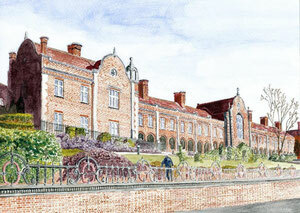 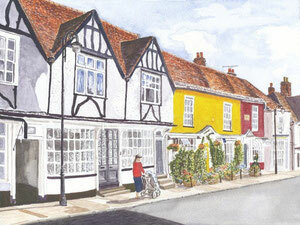 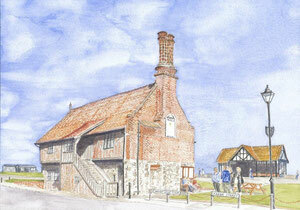 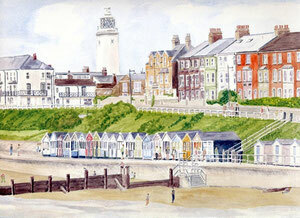 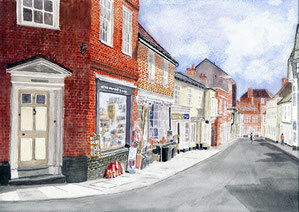 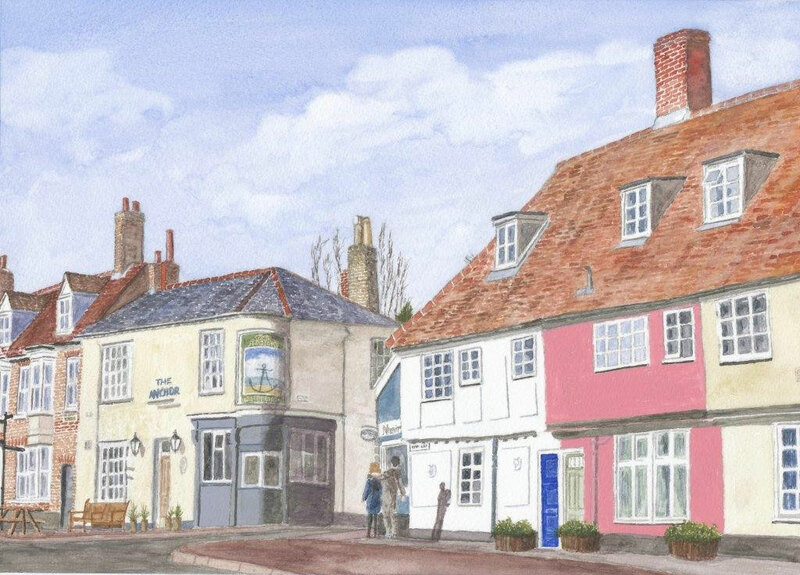 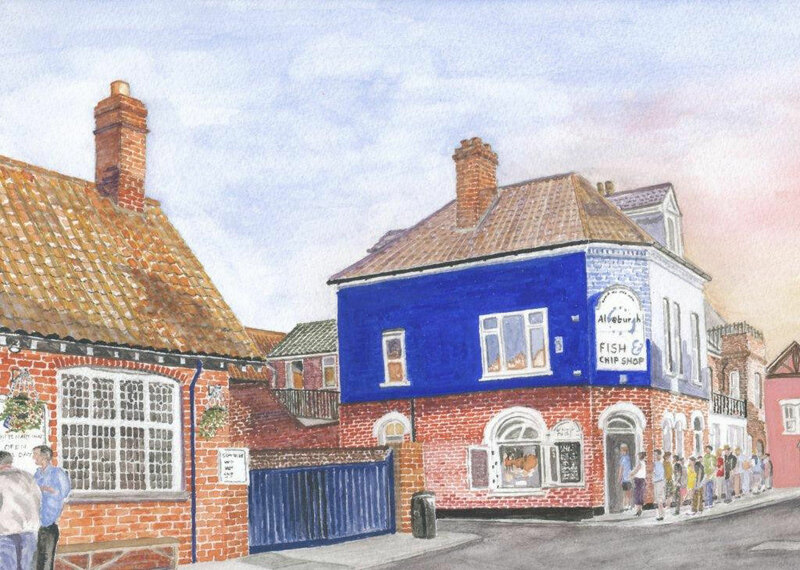 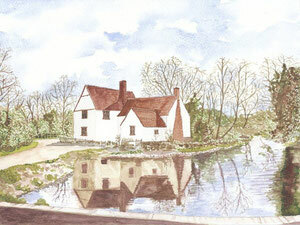 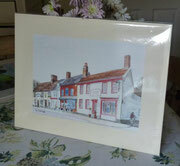 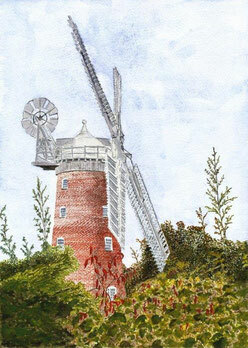 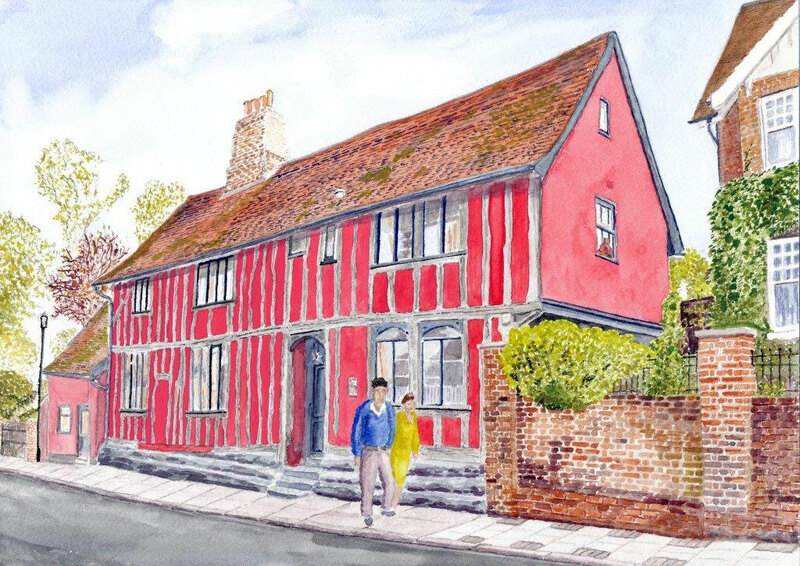 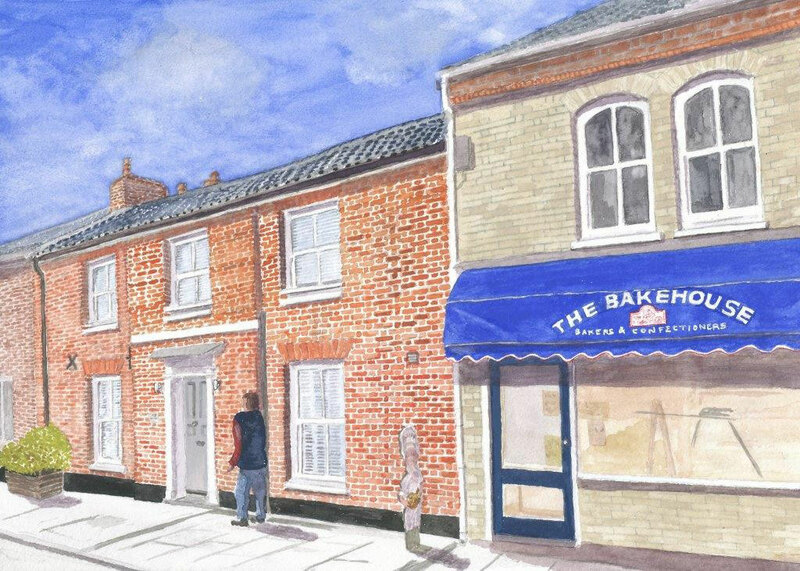 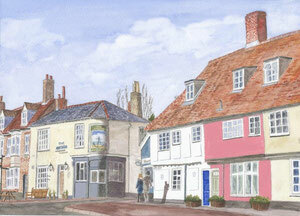 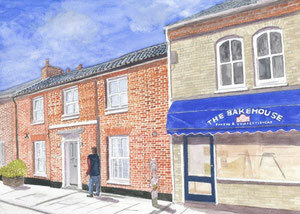 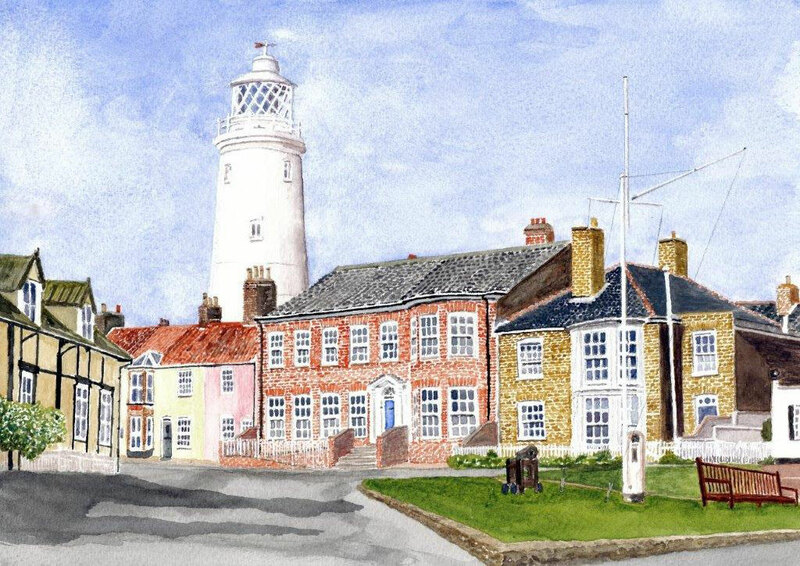 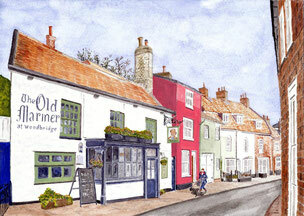 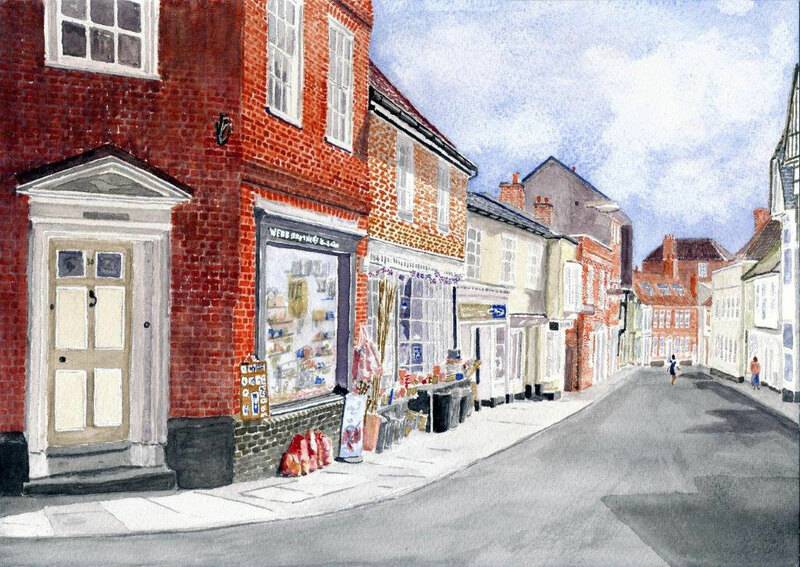 Full size prints of the watercolour paintings are on genuine 'Bockingford' medium. 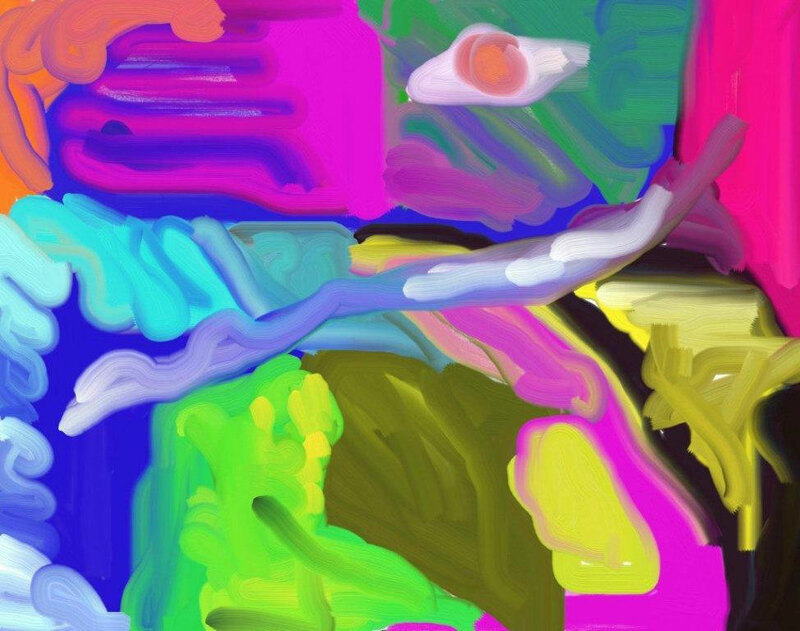 The 'abstract' print (uniquely supplied with white mount) is on 'canvas' paper. 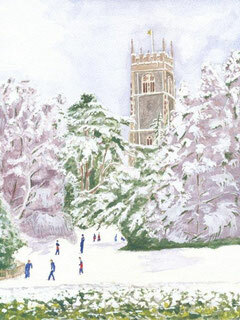 The prints on all greetings cards are on glossy 'canvas' paper for best detail at the smaller size. IF YOU HAVE REACHED THIS WEBSITE ON A SMARTPHONE OR OTHER MOBILE DEVICE YOU MIGHT BE MISSING INFORMATION ON HOW TO BUY PRINTS AND CARDS. 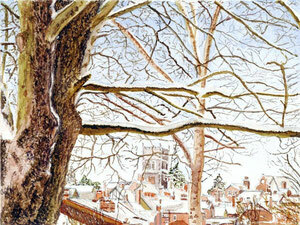 Please select STANDARD VIEW near the foot of this page.